Investing in gold is a solid and stable choice for a number of reasons. First, gold has held its value throughout history. Whether you're looking at ancient Egypt, medieval Europe or modern day China, gold has been a currency and something of incredible value. Second, gold isn't tied to a single currency, giving you greater security in unstable times of global conflict. Finally, gold can be protected and kept safe, unlike intangible items like stocks or bonds. While gold certainly offers security, it may not provide the returns you deserve. Get the best of both worlds by leveraging the value of your gold holdings in a gold loan program from Georgetown Trust and investing in alternative options with impressive returns. Georgetown Trust offers a gold loan program for those who want to do more with their gold and enjoy higher returns while still enjoying the long-term security that gold offers. Participating in the gold loan program means that you can buy gold at bulk rates and then store your gold, along with other precious metals like silver and platinum, in secure Swiss facilities. Then, you can borrow against the value of your stored gold in order to free up capital to pursue other investments. In the event that you can't repay the value of your stored and leveraged gold, a portion may be sold at market value. However, many investors will never get to that stage, and instead will see profits on their investments and the eventual repayment of the value of their precious metals. If you're interested in participating in the gold loan program, you are certainly not alone. The prerequisites for participation start by requiring you to have an existing bank account through Caye International Bank in Belize. If you don't have one yet, you can open one quickly without stepping foot in Central America. You will also need to have a minimum of $10,000 in gold holdings to begin your initial participation. Of course, you don't necessarily need to purchase the gold on your own to get started. If you have $10,000 to spend on gold holdings, we can facilitate the purchase and allow you to take advantage of bulk buying rates, which will save you even more. The biggest concern that investors have about gold loan programs is how secure their gold will be. Thankfully, that is not something you'll have to worry about. Your gold will be stored in absolutely secure Swiss vaults in Zurich, one of the financial capitals of the world. Your privacy and anonymity will be respected, and you don't ever need to concern yourself with the trouble of securing a large amount of gold in your home or a less-than-secure storage facility in your neighborhood. If you opt to borrow up to 75 percent of the value of your stored gold, the rate of interest will be 5.9 percent. However, if you do leverage against the value of your gold for at least one year, the secure storage will be entirely free. In some cases, the minimal annual administrative fees will also be waived. 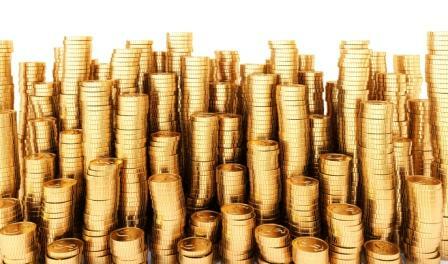 Leveraging your gold can provide you with more capital to pursue investments around the world. Offering the chance for higher returns and security for your precious metals, this gold loan program is a smart choice for savvy investors.